WFIRM speaks to Dr. Woodruff about her research with human reproduction and oncofertility. WFIRM talks to Dr. Jeremy Mao about regeneration by endogenous stem cells. WFIRM speaks with Dr. Amit Patel about bioinnovations in academia. 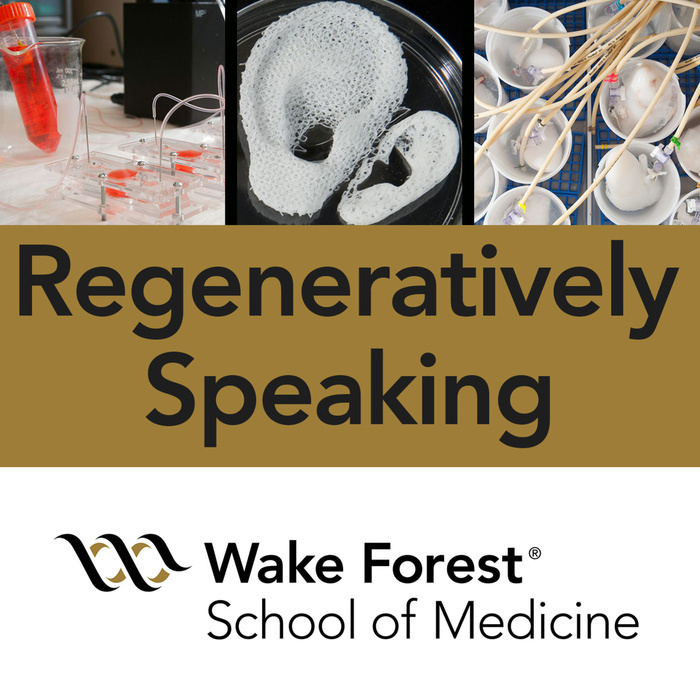 WFIRM talks to Dr. John Jackson, an Associate Professor at the Wake Forest Institute for Regenerative Medicine about bioprinting for the wounded warrior including corporal tissue as well as ear hair follicle regeneration. WFIRM speaks to Dr. Michael Yaszemski about his research in the areas of orthopedic surgery and biomedical engineering at Mayo Clinic. WFIRM talks to Aleks Skardal, Assistant Professor with WFIRM, about his early career and the pioneering of bioinks. WFIRM talks to Col. John Holcomb about his experiences as a retired Army surgeon, researcher, and most recently, an entrepreneur. WFIRM talks to Margot Damaser, PhD about noncellular regenerative techniques for pelvic floor disorders. WFIRM talks to Chris Porada, Phd about his work at WFIRM. WFIRM talks to Richard Clark, MD about the development of peptide P12 for burn wound treatment.